codeTabber is an Opera extension that brings panel-switching keyboard shortcuts to multiple online code editors. 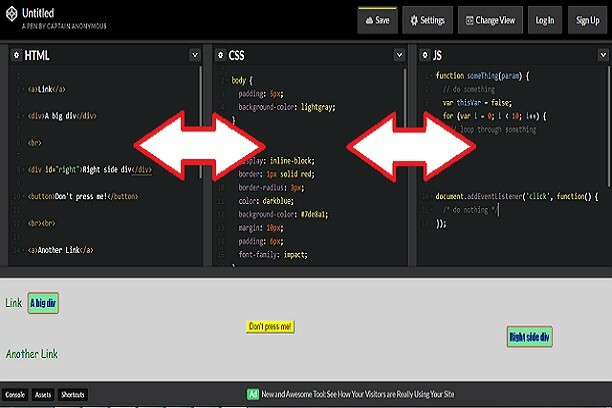 codeTabber allows you to switch focus between the various code panels using just the keyboard. The angle brackets, < and >, are used as facsimile arrow keys.